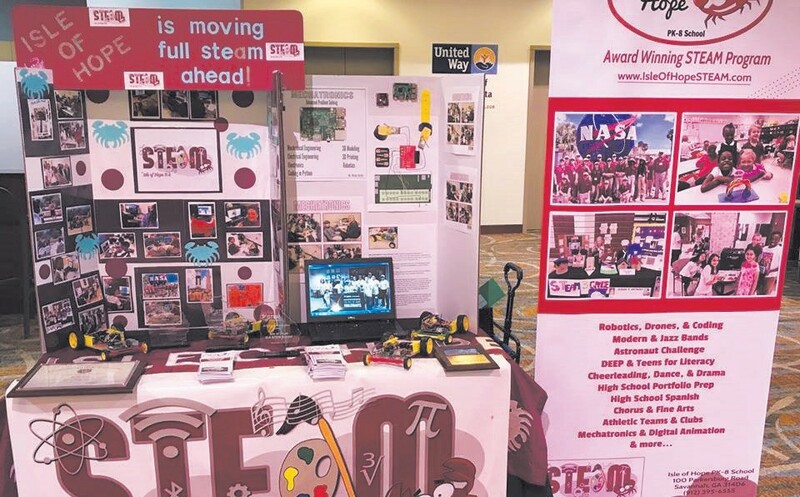 Isle of Hope K-8 School previously won first place for STEM Day activities in the Georgia STEM Education Awards in both 2014 and 2015. The Isle of Hope K-8 STEAM program provides courses, clubs, and enrichment opportunities for all grades to prepare students to compete and succeed in college and career within multiple STEM/ STEAM fields. The focus of STEAM education is the successful integration of the array of arts forms into engaging STEM curriculum.